In any new home, you’ll have to figure out where to put everything. Maybe you need to adapt to a smaller kitchen after having all the cabinets and shelves you could want, or maybe your closet space is completely different now. You don’t even have to move to want more storage space; the longer you’re in a home, the more likely it is you’ll have more stuff than space. 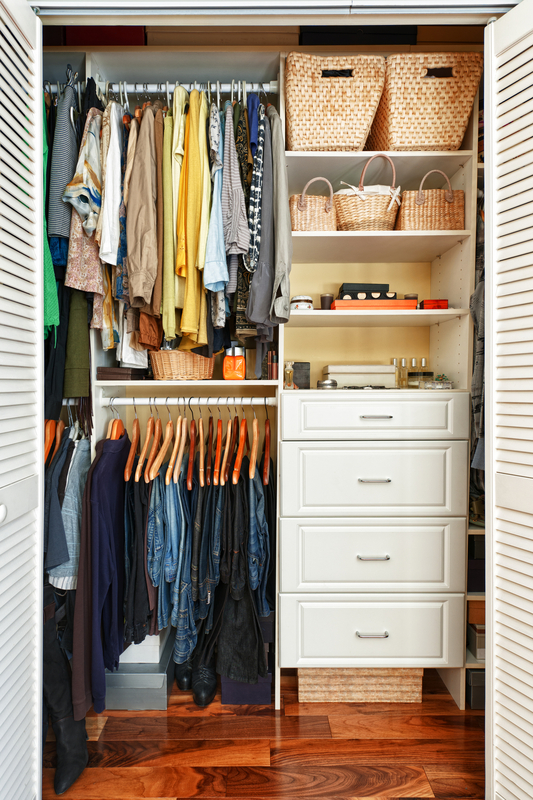 While sometimes the only answer is to be ruthless with yourself when it comes to decluttering, there are plenty of ways to create storage space that you might be missing. Some of these tips work best if you’re handy with DIY, but if not, there are still a lot of options available. Check the space under your furniture or appliances. Could you add some inches and buy shelves or storage boxes that will fit in there? For example, bed risers can give another four to six inches of space under a bed. That’s a perfect amount of room to buy plastic storage bins or nice wooden or cloth boxes that can slide under there. A lot of furniture, such as your coffee table, also has empty space behind or below it that could be a good spot for a nice basket. Also, if a closet is full of hanging clothes, how much room do you have on the floor to put containers? These sorts of storage containers can be found anywhere from Target to IKEA to your local home decoration shop. If you’re good with DIY, you might be able to create sturdy metal shelving to raise appliances such as your washer or drier off the floor and some rolling shelves to go under them. Speaking of adding shelves, look at the top of your cabinets, walls, inside closets, or at existing shelving. While older apartments and homes used to have standard eight-foot-high ceilings, nine feet has become more common since the late ’90s, and two-story homes often have vaulted ceilings in the main living area. This provides a lot of room to extend storage upward. Decorate items and things you only need once in a while can go up top, and there are a variety of decorative or easy-to-stow-away step stools to make sure you can access that storage. No matter how careful the architect, it’s likely that you have corners, niches, and other spaces that are oddly shaped and not useful for much. One common lost space can be found under stairs. You can go to any DIY store and buy shelves cut to specific sizes to fit into these areas. There are also plenty of corner and curved shelves available to tuck into these spots. If you’d like to hide some of this storage, you can always buy tension rods and curtains to block off the nooks. Consider hanging boards or pegs on the walls, especially in kitchens, bedrooms, or in hallways, or using eyelets in the ceiling to let you hang some light items like plants or cloth organizers. In the kitchen, you might look at putting magnetic strips for knives or other utensils on the walls, or see if you can hang pots and pans from the ceiling. There are a number of over-the-door storage solutions, from simple clothes hooks to organizers for jewelry, shoes, or hats and gloves. 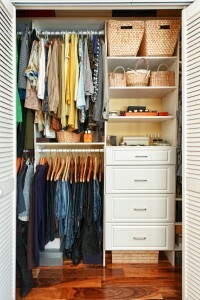 Closet and bathroom doors are ideal locations for these organizers.